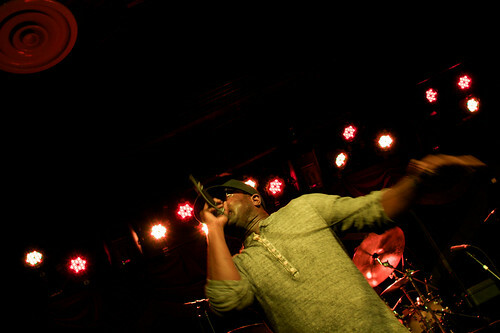 Thursday night, I covered The Ten Dollar Coolhunter Jam hosted by the Roots at Brooklyn Bowl for Examiner.com. It was a great show and all the more exciting to me because, even though I’ve been a fan of The Roots for 13 years, I haven’t seen them live since 2001. I was right up front and got a bunch of up close shots of the band, the other groups performing and Talib Kweli, who was a surprise guest. It was also pretty awesome because I hadn’t heard of nearly any of the other groups performing and they were all really interesting, playing music that I’d definitely like to hear more of. 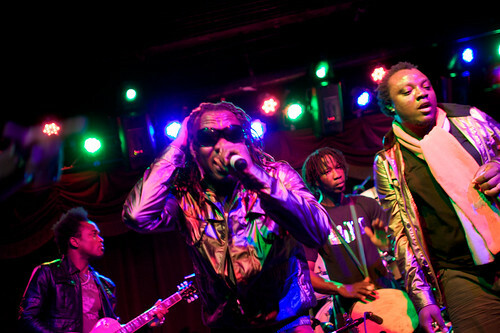 Personally, I was really blown away by Bajah + the Dry Eye Crew from Sierra Leone. The music brought in influences from all over the place and they just had so much energy on stage that it was palpable. Check out the post on the Examiner for links, a slideshow and more details. Even more photos posted on Flickr.